Data from the AAFP suggests that between five and 10 percent of medical claims are denied. In another report from the Government Accountability Office (GAO) the rates are less optimistic, stating a full 25 percent of claims are denied… Denial rates from individual providers vary as well, showcasing the lack of standardization within the healthcare industry and highlighting the challenges EM groups and facilities have with denial management services on a daily basis. Improper coding by the provider. Healthcare given outside the beneficiary’s network. A general lack of documentation to support claims. Incorrect patient information such as a simple misspelling or inaccurate information passed by patient. Non-coverage of certain ailments/non-confirmation with insurer before conducting treatment. Of course, no EM practice wants to spend their time appealing these denials nor do they want to deal with them in the first place. These denials result in cash flow issues and resources taken away from patients. Thankfully, EM practices have some help. Best Denial Management Process: Why Should Your EM Facility Outsource Denial Management? DuvaSawko’s robust front-end edit process is implemented daily to ensure optimal performance and response to denied claims. Our detailed and effective appeals process for improperly denied claims can measure and track all denials and reasons per the use of proprietary transaction codes assigned to each transaction line. 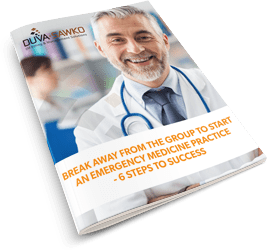 When you partner with an emergency medicine Revenue Cycle Management specialist such as DuvaSawko you’ll instantly see a decrease in insurance denials. This results in claims that are far less likely to get denied in the first place as well as a collection process that is quicker than what you can accomplish without this type of expertise. This not only helps with your practice’s efficiency, but it also gives you more time to grow the practice. At DuvaSawko, we have a 99% success rate in overturning denials! When you partner with us to help with your practice’s Revenue Cycle Management, you are aligning your organization with a team of expert coders, documenters, denial management operators and appealers, and all around professionals who are exclusively dedicated to helping you get every penny you are owed. In addition to having improved cash flow to move business forward, you’ll also save on internal administrative resources so that you can get back to being the patient-first, profitable facility you intended to be. Consider the current resources allotted to Revenue Cycle Management in your practice right now. If these employees were ever to leave (turnover), take a vacation, or have other conflicting obligations, could you afford the impact this would have on your profitability? With an outsourced team of denial management and Revenue Cycle specialists, you’ll never worry about employee turnover, continuing education, vacations, software updates, hiring or firing, or any other aspects regarding staffing resources. When your practice partners with DuvaSawko to handle Revenue Cycle denial management services, you are ensuring the proper submission of insurance claims, proper coding, and accurate documentation. This translates into helping your practice get paid more quickly. The other benefit of this type of outsourced RCM relationship is maximized reimbursements, as we will oversee the initial patient interaction all the way through the final collection process. Why Work with DuvaSawko’s Claims Denial Management Team?